STOWE - The specter of a warmer world scares a lot of people, including skiers. 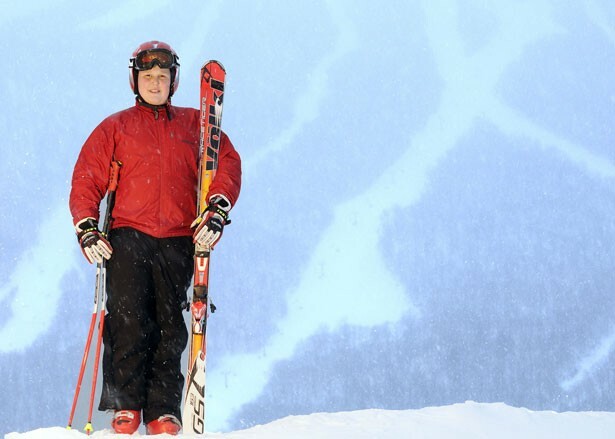 That's why, when faced with the need to do a project for his bar mitzvah in May, Josh Wolfgang, 12, a ski racer from Stowe, picked a cause that hits close to home: He's organizing the Race Against Global Warming for skiers, snowboarders and telemarkers, on February 9 at Spruce Peak. Wolfgang describes a mitzvah project as "a huge requirement in your bar mitzvah, and it's a project where you do a good deed." He says his similarly situated friends are doing such things as raising money around town and spending time with the youngsters of the Jewish Community of Greater Stowe. Wolfgang, however, wanted to do something a little more fun. But it wasn't until he saw a show about global warming on TV that he decided to do the race. As an avid skier with the Mt. Mansfield Ski & Snowboard Club, climate change has Wolfgang a little worried about the future of his sport, and his community. "It's happening right now and affecting a lot of things already," he says. "Even the winters are shorter up here." The middle-schooler is also concerned about awareness of the issue among his peers. Entry fees from the race will "pay for a speaker to come to school to tell students what they can do about global warming," he explains. "That's kind of why I did it." Wolfgang says he's meeting with his science teachers to come up with a list of possible speakers. The race has a long list of sponsors and supporters, one of whom is Tamara Burke, local owner of the tourism website www.gatewaytostowe.com. She thinks the race is "a wonderful mitzvah project for a young man," and hopes it's the first of many such events in the community. "I think the ski industry is aware that it is an energy-intensive sport," she says, which makes it incumbent on skiers to reduce and offset their CO2 emissions. To sweeten the deal for race entrants, Wolfgang has amassed a raft of prizes with some help from his father, David, 56, who owns Pinnacle Ski and Sports in Stowe. Chances are, everyone who participates in the race will get a prize. "It's quite unbelievable," David says of his enterprising son; "he took my rep book and went to town. To register, call the Mount Mansfield Ski & Snowboard Club at 253-7704. More info at the race website.